It's odd that upside down swimming doesn't look that much different from right side up swimming. *** I just tried to add a new clip but I screwed it up...so I'll do that later. Movie compression mystifies me... yes. 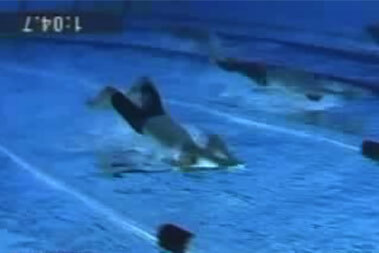 that last segment is the best by far, second runner up would be the upside down backstroke.